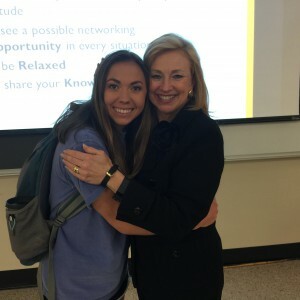 Dr. Debbie takes Tuesday to a whole new level with Lauren Wallace as her guest speaker in her Community Design class at Georgia Tech. The WELL Building Challenge focuses on the occupant as well as the building. There is a direct link between employee engagement and healthy workplaces!!! Employers will see a drastic shift in expectations from Millennials as they chose their company! Those companies that support the total person will be more profitable and increase retention of top talent! Click here for a video of the presentation. It was a “marvelous Monday” for Dr. Debbie as she gave a presentation to Dr. Brenda Cude’s internship class on the importance of networking. 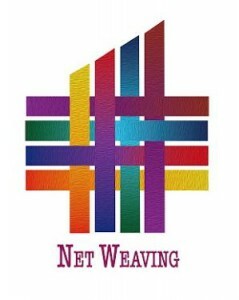 As Dr. Debbie says, it’s really NETWEAVING as we are all woven together! What you leave behind is not what is engraved in stone monuments, but what is woven into the lives of others. ~ Pericles. It really is a small world! Dr. Debbie discovered that Abbey Harrison was actually a student in this class. Abbey is the “adopted sister” of Janie and Lexy Day, two precious children that Debbie enjoys spoiling! 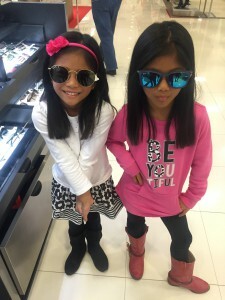 Dr. Debbie believes fashion and flair can’t be woven into young girls too early! Janie and Lexy Day have their “mo-jo” and are destined to be “UGA GymDawgs” sooner rather than later! A WONDERFUL WEDNESDAY FOR DR. DEBBIE’S MOST PASSIONATE PROJECTS! Wednesday, March 16th was an unusually “over the top” description of a wonderful Wednesday. The day began when Brandi Boudoin kicked off the 2016 Peggy Waskom Super Bowl as she described her mother, Peggy Waskom as a pioneer, a game changer and champion for education, not to mention being an extraordinary role model. I’ve watched Brandi grow up in the industry and her mother is smiling down from heaven as she watches her daughter make her own distinguishable mark in the apartment industry. 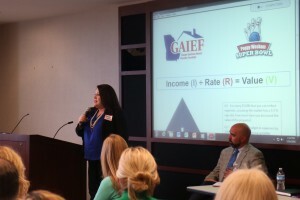 Brandi was joined by Mitch Harrison, President of First Communities; Tracy Bowers, Managing Director of Matrix Residential and Pollack Shores; and Sherry Freitas, Managing Director of Greystar as they led a brief discussion on the value of education and value enhancement on the properties. Ellen and Jack Weissman, co-chairs of the 2016 Bowl-a-thon assembled over 125 people to join our cause raising money to promote careers in the apartment industry and develop skilled talent. All of that happened before 2:00 p.m.! 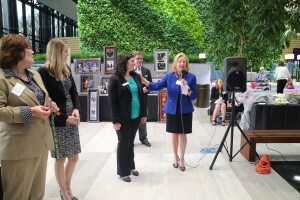 As the day progressed, Dr. Debbie offered opening remarks at the IREM Wine Social hosted at CBRE’s premier property, Three Ravinia featuring The Living Wall! The evening was absolutely spectacular as friends in the industry gathered to celebrate our dynamic industry. What was most special to Dr. Debbie was that former students were among the distinguished guests as they work in residential and commercial sectors and are demonstrating their passion and making a tremendous impact in their perspective companies. Needless to say, Debbie could not stop smiling with pride and a deep genuine love for those that have come through the real estate programs where she has taught for over 10 years. 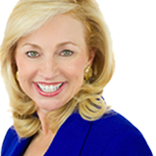 As Debbie says, “she wakes up every morning looking for a special person to invest in their life.” Her investment is paying HUGE dividends as more than 250 are working directly on-site or in related positions within real estate! One “Wonderful Wednesday” can make a world of difference! Brandi Boudoin kicks off the 2016 Peggy Waskom Super Bowl with a heartfelt message! Dr. Debbie moderates the panel. 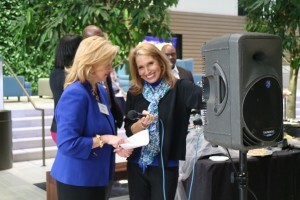 Deborah Westphal emceed the IREM Wine Social. Dr. Debbie loves on Jack and Ellen Weissman and Lisa Russo for their leadership in the 2016 Peggy Waskom Super Bowl! These individuals demonstrate passion for promoting education and attracting new talent into our industry! I’m the luckiest person on the planet! 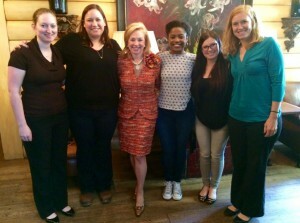 Today I had lunch with five powerful women in construction. 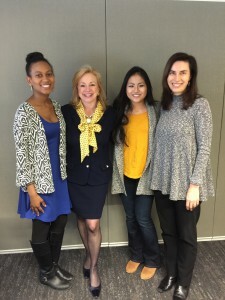 Three of these ladies were all former students of mine at Georgia Tech. Today they are in charge of massive construction projects. 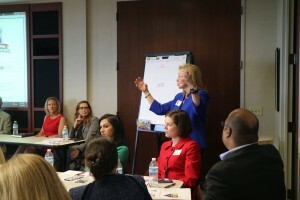 DPR is a company with a progressive culture that promotes women and advances their professional development. Nothing makes me happier than to see people in their “genius zone.” I have to pinch myself as a reminder that I’m not dreaming!! 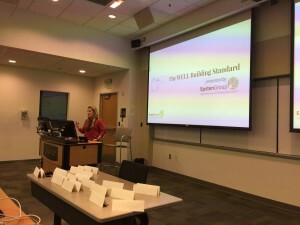 For more than six decades, Society of Women Engineers has given women engineers a unique place and voice within the engineering industry. The organization is centered around a passion for our members’ success and continues to evolve with the challenges and opportunities reflected in today’s exciting engineering and technology specialties. For more information on how you can get involved, email Dr. Debbie or better yet, join us for a meeting on the Georgia Tech Campus. Property owners now have a viable alternative to green certifications that are flexible, comprehensive and achievable. To learn more about how your company can achieve international recognition, please contact Todd Feist, IREM’s Sustainability Program Manager for more information. Companies of all sizes can benefit from these resources. It is a game changer! Top Tier Talent will NOT Wait! 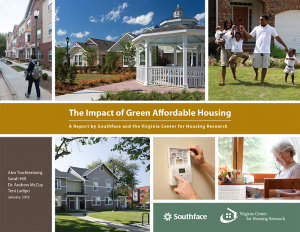 Dr. Debbie is pleased to promote findings on Sustainability & Affordable Housing. 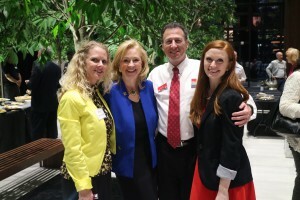 Debbie was part of the team that provided Southface with industry connections, research and support. 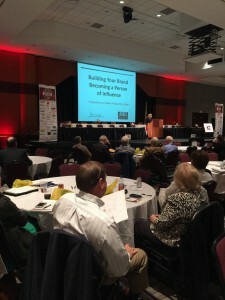 Dr. Debbie was the closing speaker for 2016 Alabama Commercial Real Estate Conference held last week in Birmingham, AL.